Hector introduced a total of eight new mounts to Albion Online. Find out here what they do and how to get them! 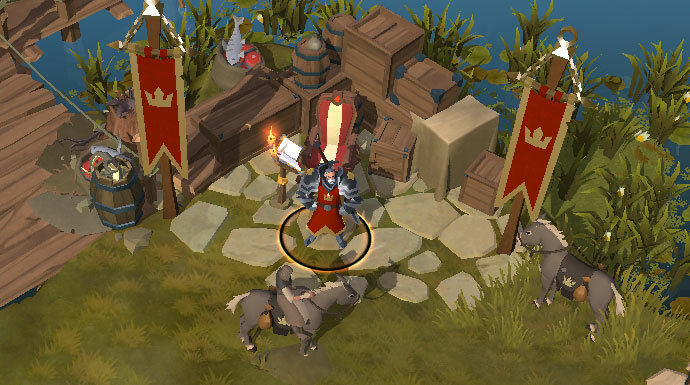 Mounts are a great way to travel through Albion Online, with each mount fulfilling a certain role in the game. Aside from the regular Riding Horse, Armored Horses and Oxen, there are also several rare mounts and faction mounts, which provide an even bigger advantage to those who have managed to obtain one. The Hector included an additional eight of of these mounts. Continue reading to find out about every single one of them, where to get them and what they bring to the table! With the overhauled new tutorial, every character will be able to get a mule! This mount is a simple mule, given to the new arrivals in the land of Albion. It can only be obtained once by finishing the tutorial quests in the starter towns (Forest Cross, Highland Cross, Mountain Cross, Steppe Cross, and Swamp Cross). The Mule gives everybody a leg up when it comes to movement, but falls a bit behind the Legendary Explorer’s Horse both in speed and carrying capacity. 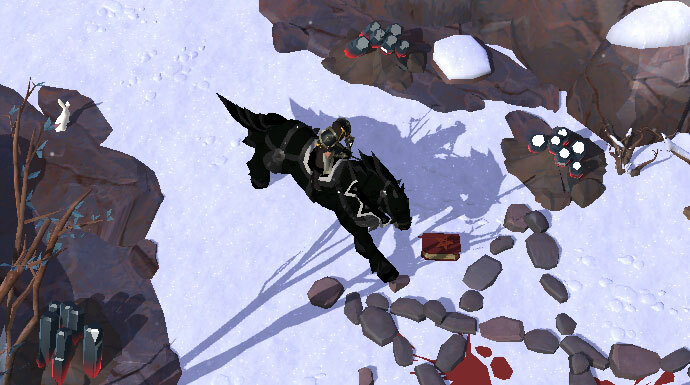 These mounts are found as rare drops in the open world. The Giant Stag mount is a fun alternative to the regular horse, albeit with fewer hitpoints and a larger load capacity. They are great for solo-gatherers and couriers. Obtaining a Giant Stag mount works similarly to Direwolves. Giant Stag mobs (found in the Steppes) have a rare chance of dropping a Fawn. 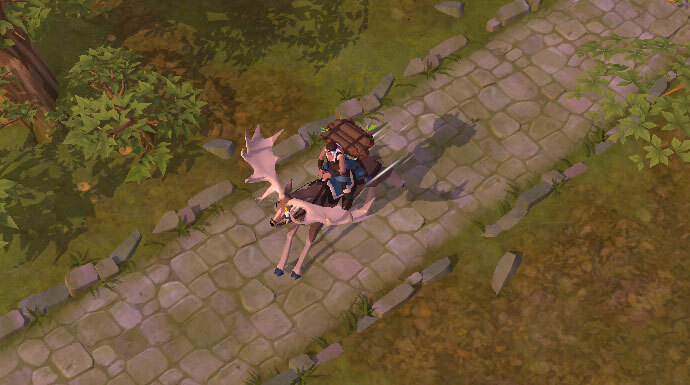 Place this Fawn in a Pasture, grow it into a Tame Giant Stag, and then combine it with 20 Tier 4 Worked Leather at your local Saddler to craft the mount. 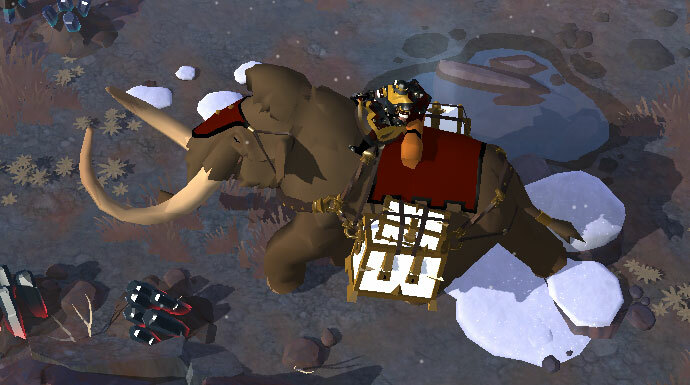 The Transport Mammoth is the ultimate transport mount for guild operations. What it lacks in speed, it makes up for in enormous carrying capacity. It is also able to withstand a decent amount of damage, with its big health pool and defensive bonuses. This makes the Transport Mammoth perfect for organised gathering runs in dangerous areas. Ancient Mammoths mobs have a small chance of dropping a Mammoth Calf. 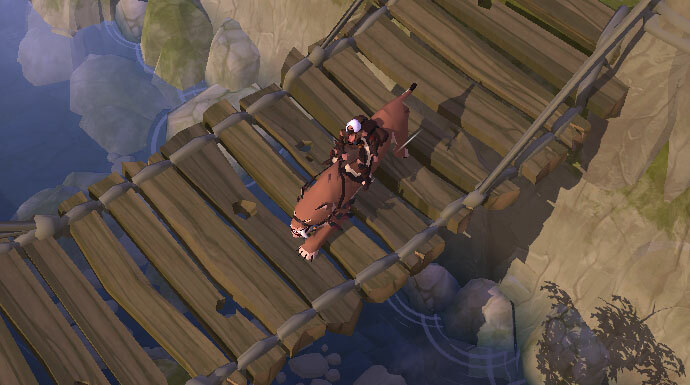 lace this Calf in a Kennel, grow it into a Tame Mammoth, and then combine it with 20 Tier 8 Fortified Leather at your local Saddler to craft the mount. These mounts are faction-specific, and can only be obtained by slaying the faction's bosses in the open world. The elite Tier 8 faction mounts also each boast their own skill! While this mount was already in game before Hector, it has been included here for completion’s sake. The Bonehorse not only looks great, it is also slightly better than its living counterpart, with more hitpoints, speed and maximum load. To craft a Bonehorse, you need to combine a Tier 5 Riding Horse with Necromantic Elixir. Necromantic Elixir is a rare drop from Undead bosses. The spirit of an ancient knight’s steed has animated the cooling corpse of a sacrificial horse. Loyal and obedient, its appearance nevertheless strikes fear into its foes. To craft a Spectral Bonehorse, you need to combine a Tier 5 Bonehorse with a Spectral Mask. Spectral Mask is a rare drop from Undead weekly raid boss, the Harvester. The Spectral Bonehorse also has its own skill, Glimpse of the Other Side, which temporarily turns you invisible. Keeper scouts have worked with Swiftclaw mounts for thousands of years, using their speed to roam the wilds. Their bloodline is guarded by the bosses of the Keepers, and they will never surrender a cub willingly. The Swiftclaw is a fast mount, similar to the Direwolf but sacrificing some speed for survivability. Keeper bosses will rarely drop a Swiftclaw Cub. Place it in a Kennel, grow it into a Tame Swiftclaw then combine it with 20 Tier 5 Cured Leather at your local Saddler to craft the mount. The most aggressive Swiftclaw cubs are raised to be Rageclaws. They are the fastest mounts in the game, and raised from birth to tolerate the fury of battle, making them perfect for berserker cavalry. To craft a Rageclaw, you need to combine a Tier 5 Swiftclaw with Sacred Bone Marrow. Sacred Bone Marrow is a rare drop from Keeper's weekly raid boss, the Earthmother. The Rageclaw mount has its own skill, Predator Sprint, which is an instant speed boost for a short amount of time. The Disciples of Morgana value strength in all things, and breed their mounts for toughness and aggression. The weight of the Warhorse’s armor makes it unwilling to carry additional load, but allows it to charge recklessly into battle. It also has more speed than a regular Riding Horse or Armored Horse. A Warhorse can be crafted by combining a Tier 5 Armored Horse and Warhorse Saddle, which is a rare drop from Morgana bosses. Every Morgana horse-breeder dreams of birthing a foal angry and aggressive enough to survive demonic possession. The resulting creature is almost as dangerous to its rider as it is to its enemies. The Nightmare, similar to the Warhorse, has no load capacity bonus, but does offer more speed and survival than any other horse. To craft a Nightmare, you need to combine a Warhorse with Infernal Horseshoes, which are a rare drop from the Morgana weekly raid boss, the Demon Prince. 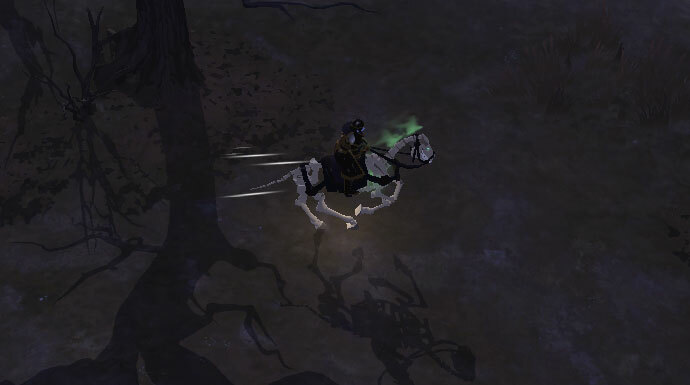 The Nightmare mount also has its own skill, Flaming Trail, leaving behind a trail of flames, which ignites enemies and causes them to run around in fear. Have you already gotten your hands on any of the new Hector mounts? Which one is your favorite? Let us know in the comments below or on our forums!